This article reviews HTDV and film content aspect ratios and looks at ways to match content to display. These include manual and automated screen masking systems as well as anamorphic lenses and the ‘zoom’ method. classic movies of the pre-1950s era were often filmed in 1.33:1. What’s clear is that there is no standard aspect ratio. We like to design our systems so they match the content that our clients typically watch. Usually this means a 2.35:1 aspect ratio screen but on occasion we might suggest something alternative. are lost when displaying 2.35:1 content as those parts of the imaging chip are unused. Furthermore all content with an aspect ratio under 2.35:1 will be projected above and below the screen and will therefore not be visible. Solutions to these issues typically involve using an electronic scaling to first vertically stretch the 2.35:1 image to fill the whole imaging chip and then using an external anamorphic lens to horizontally stretch the image to give it back it’s original aspect ratio. The anamorphic lens is typically mounted to a sled such that it can be moved in and out of the light path. This type of projection technique is known as constant image height (CIH). In the last few years another technique has appeared which is to use memories in the projector for zoom and focus. 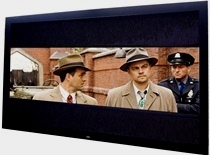 With 2.35:1 films the projector can be zoomed in to fill the screen and with 1.78:1 content the projector can be zoomed out. 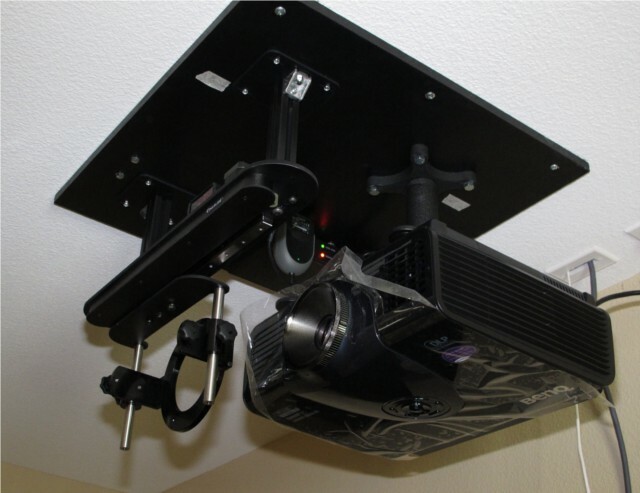 Even when a projector is not actively projecting an image on some part of its chip there will still be some light output which will be visible on the projection screen. With low contrast ratio projectors these bars are often greyish rather than the near black seen with very high contrast projectors. These bars subjectively reduce the dynamic range that the viewer sees. For this reason masking systems are the optimal way to match screen with content. 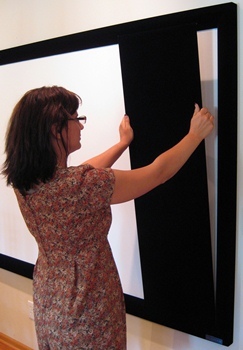 Masking systems typically comprise black material which is manually placed or electronically pulled over the screen. Properly set up the content perfectly matches the unmasked screen size and perceived dynamic range is maximized. Need help designing a projection system or choosing a screen, projector, masking system or anamorphic lens? Contact us now! 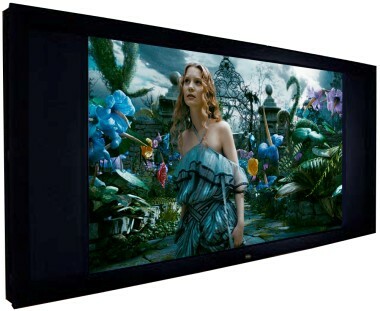 Hi, I’m planning to build a home theater soon that will utilize a 2.35:1 screen with anamorphic lenses on a JVC DLA-X750R. The majority of the content I watch utilizes that aspect ratio and the room is much wider than it it taller making a 2.35:1 screen the best choice. However some movies on Blu-ray that I plan to watch have a dynamic aspect ratio. For example Interstellar and The Dark Knight have multiple scenes in a 16:9 aspect ratio as those scenes were filmed in IMAX. 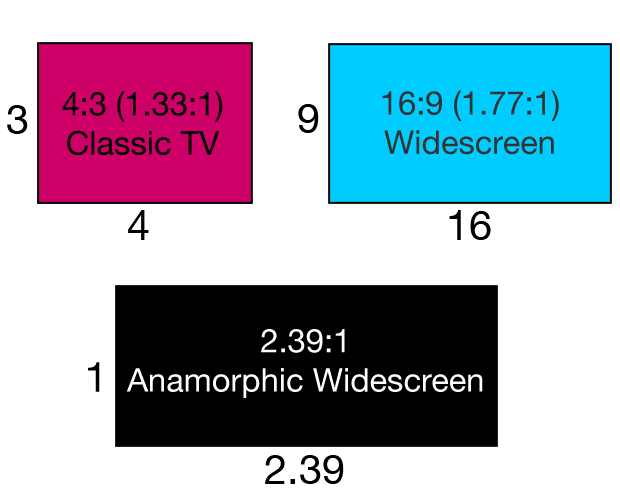 The majority of the movie is 2.35:1 but multiple (often action and large scale scenes) are in 16:9. I don’t want to lose part of the image due to a 2.35:1 image. So is there any hardware (lenses, masking systems etc) or software (settings in the projector etc) that will automatically adjust the anamorphic settings so the full 16:9 image is displayed whenever it appears with the 2:35.1 image coming back whenever it appears? There is no really good solution for what you are referring to except using 16:9 for the whole movie. Any kind of automated process to put an anamorphic lens in the light path or do projector zooming would be too slow as the scene changes are quite fast e.g. The Dark Knight goes quickly from 2.35 to 16:9 in a number of scenes e.g. bank robbery scene, hong kong night scene.